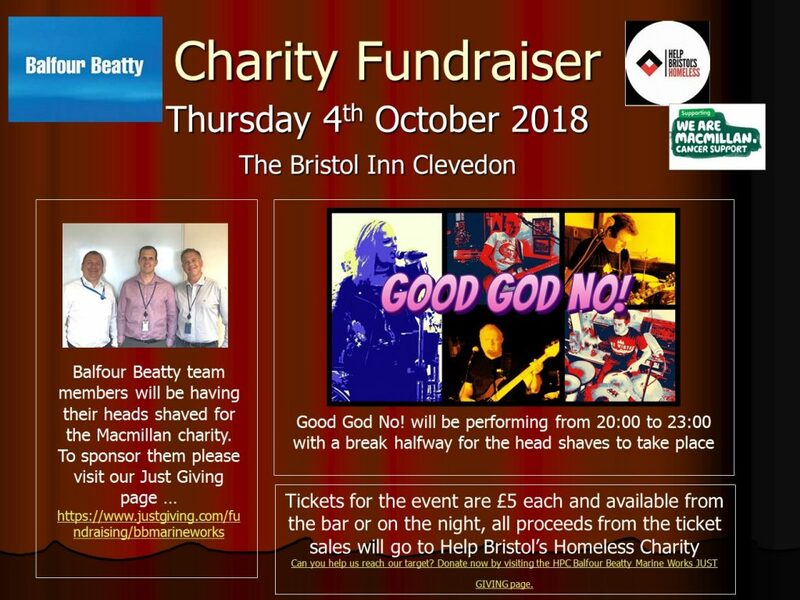 Join the Balfour Beatty team for a great night of entertainment at the Bristol Inn Clevedon. Good God No! will be performing from 8:00 pm – 11:00 pm with a break halfway for the charity head shaves to take place! Tickets cost £5 and will be available from the bar and on the night. All the proceeds from the ticket sales will go to Help Bristol’s Homeless. Want to get involved? There’s lots of ways that you can help. If you’re homeless and need a helping hand, get in touch. We’re here to help. © 2017 - 2019 Help Bristol's Homeless | Our Policies-Gift Aid| Charity Number 1181386 - Site made with love by Yadda.